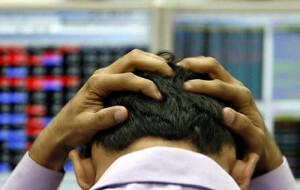 Stock Market Trading is a High Risk business, where one can loose all/part of his capital. There are chances of making huge losses. All the Views/Recommendations/Charts/Articles/Calls or any content posted on this site(TraderAdda.Com) are purely for informational or educational purpose. Any content on this blog is not an invitation to undertake a trade using our site's content. We (Admin, TraderAdda.com) do not take any responsibility for any loss/liability accrued using content of this site. All readers of TraderAdda.Com must rely on their own discretion and neither any contributor nor anybody who is creating content is responsible for anything happened.